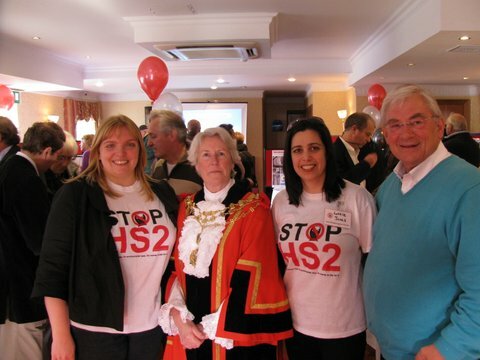 Despite great support at our Stop HS2 events from Richard Barnes and his vocal opposition to HS2 in both Ealing and Hillingdon, voters seem to have decided they can not vote for the party that blindly pushes HS2 on a country that does not want it or need it. This is sad news for the many Conservative (and other parties) councillors and politicians who are tirelessly fighting HS2 and many people who have benefitted from the change of the votes today are yet to prove their anti-HS2 stance.We look forward to assisting them with their future anti-HS2 activity. Both Conservative and Labour leaders should take a warning from this – politicians in safe seats with massive margins may not be safe when HS2 goes through them and as Britain wakes up to the cost and devastation other politicians may fall on the sword of HS2.